Stefan Kersten is the head of the Competence Center Business Performance Management at b.telligent. b.telligent specializes in the introduction and development of business intelligence, customer relationship management and e-commerce in businesses active in mass markets. 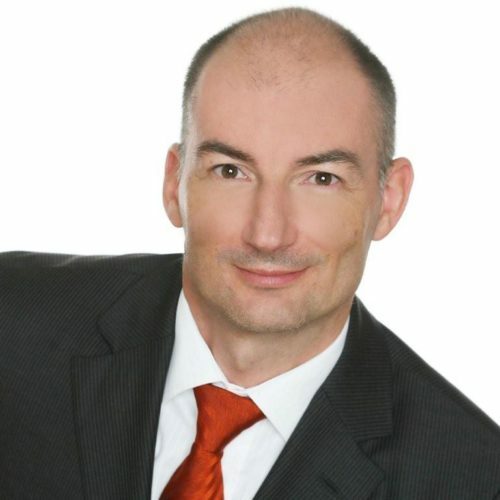 Diplom Kaufmann Stefan Kersten has more than 15 years experience working in projects in the consulting business including in the utilities, banking, insurance, financial services, production, and pharmaceutical segments. Early on he began specializing in reporting as part of Business Intelligence. Since 2011 he is the head of the competence center Business Performance Management at b.telligent and is the contact person responsible for processes, methods, implementation, and project management. With his team, he successfully implements projects at well-known companies in the so-called DACH region (Germany, Austria, Switzerland) focusing on reporting, analysis, dashboards, and planning. Moreover, he develops and implements BI architectures and BI strategies for customers, whereby the introduction of IBCS® is gaining increasingly importance. As the person responsible for controlling and internal reporting at b.telligent, he also applies IBCS® internally. 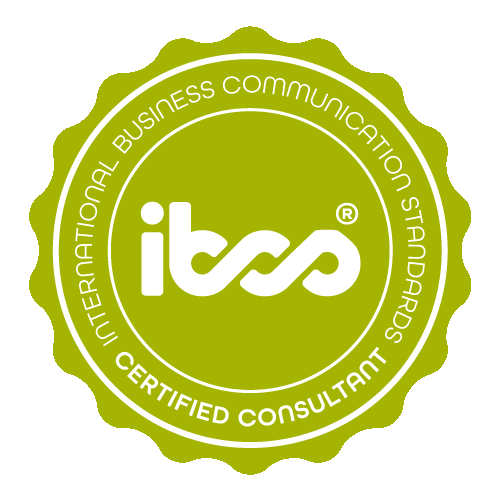 Stefan Kersten has successfully completed the IBCS® certification for successful design of reports and presentations at the HICHERT+FAISST IBCS Institute in October 2012. All work samples are realized using the software ‘arcplan Enterprise’. Product sales The report shows a dynamic product-sales report. It visualizes actual sales in comparison with the previous year and the corresponding absolute and relative deviations. The products are sorted in descending order by sales, providing an overview of the top sellers. At the same time, the reader recognizes for each product the proportion of total sales and the change in the proportion from the previous year. 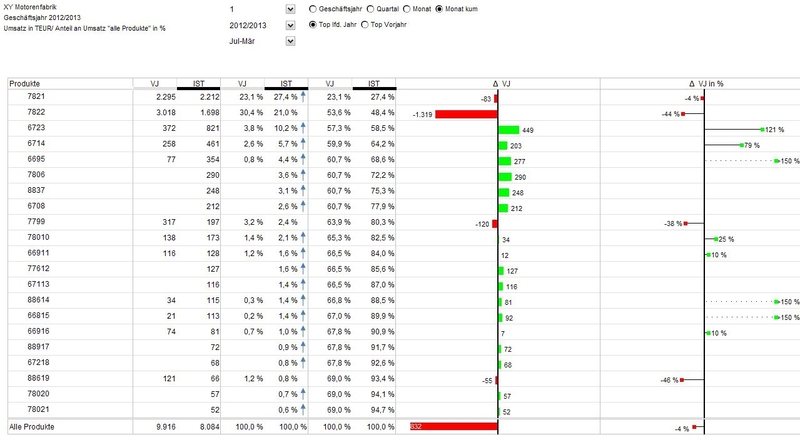 Customer sales This report shows the development in sales for customers A, B, and C and the deviation from the budget. 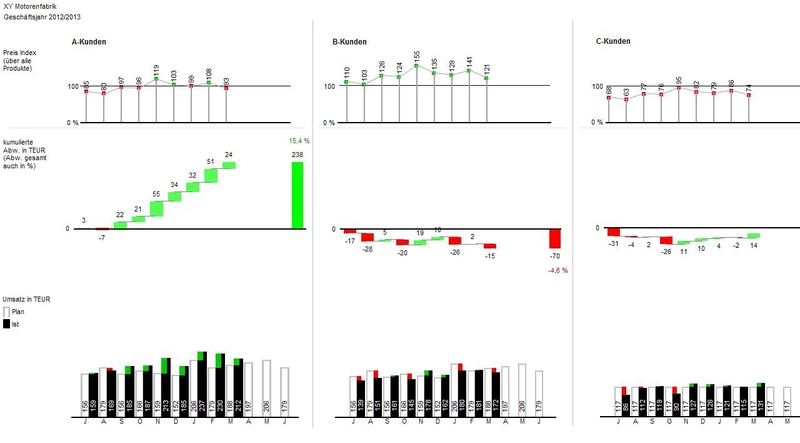 In the lower third, the reader can see the absolute values for each month, while the cumulative deviations can be analyzed in the middle third. The price index in the upper third makes it possible to draw a conclusion as to whether the deviations in sales may be the result of the price development or the sales volume. b.telligent specializes in the introduction and development of business intelligence, customer relationship management and e-commerce in businesses active in mass markets.